areas and swamps all over the country. 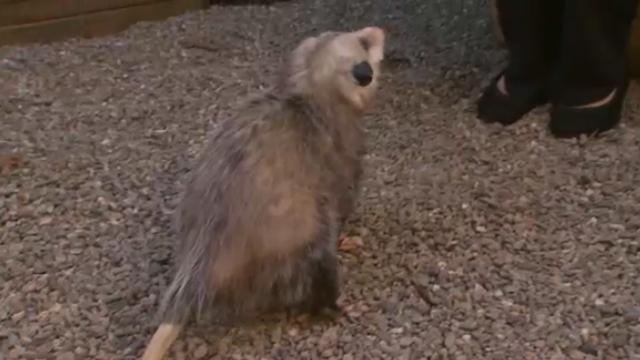 Opossums weigh between three and five pounds and – yikes! – have more than 50 teeth. They sports sharp claws and have strong tails that enable them to climb trees. Opossums are also well known for secreting a bad-smelling substance designed to trick predators into thinking they are inedible and playing dead. The term “playing possum” means to fool your opponent by pretending to be injured or vulnerable. When an opossum is threatened, it goes into a semi-comatose state. The animal will only “come back to life” when the threat goes away. This kind of defense mechanism is an example of an evolutionary adaptation.